Gregory Rapawy is a Kellogg Hansen partner with extensive experience representing clients throughout the litigation process at the trial, appellate, and Supreme Court level. He has litigated cases covering a broad variety of subject matters, including administrative law, antitrust, securities, and telecommunications. He has briefed dozens of Supreme Court and other federal and state appellate cases, argued cases in the federal and state courts of appeals, and opposed dispositive motions in complex, high-stakes cases at the district court level. Mr. Rapawy has represented clients in pathmarking securities cases such as Merck & Co. v. Reynolds, 559 U.S. 633 (2010), which clarified the statute of limitations for claims of securities fraud; and Matrixx Initiatives, Inc. v. Siracusano, 563 U.S. 27 (2011), which recognized the materiality of information about adverse health effects of over-the-counter medication. He also recently represented the National Credit Union Administration (NCUA) as liquidating agent in a series of successful lawsuits (including appellate victories in three circuits) against major investment banks arising from the sale of residential mortgage-backed securities. In other areas of litigation, he has appeared for both plaintiffs and defendants in cases covering a variety of subjects. Recently, he successfully defended on appeal a statutory asset-freeze injunction in NCUA v. Jurcevic, 867 F.3d 616, 621 (6th Cir. 2017); a major jury verdict for a bankruptcy trustee in In re Magnesium Corporation of America, 682 F. App'x 24 (2d Cir. 2017), and an industry-wide antitrust class certification ruling in Kleen Products LLC v. International Paper Co., 831 F.3d 919 (7th Cir. 2016). Mr. Rapawy also frequently represents clients petitioning for or opposing certiorari in the Supreme Court, or appearing as amici curiae to advise the Supreme Court and the courts of appeals on issues of broad constitutional, legal, or policy concern. 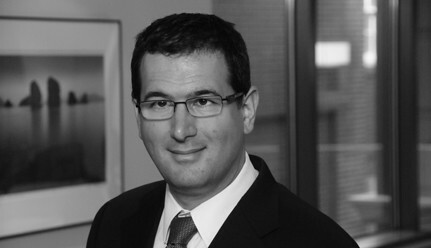 As amicus counsel, he has written briefs on behalf of leading companies in the high-technology and Internet sectors for interpretations of intellectual property law that encourage genuine innovation; on behalf of sentencing reform advocates against harsh and inflexible mandatory minimum sentencing statutes; and on behalf of scholars advising the courts on issues of health policy and financial regulation.